This chair has blind-tufted seat and back cushion with a solid wood walnut finish base. Constructed with 100% FSC®-Certified Wood in support of responsible forest management. The Spencer is also available as a chair or sectional. Matches perfectly with the Spencer Sofa and Loft Bi-Sectional. Bench-made, solid steel rocker frame. Steel frame is finished in durable powder-coat. Felt strips on the bottom of rockers to protect hardwood floors. Three cushion panels are attached to the steel frame. Cushion fill is Dacron®-wrapped to maintain shape. 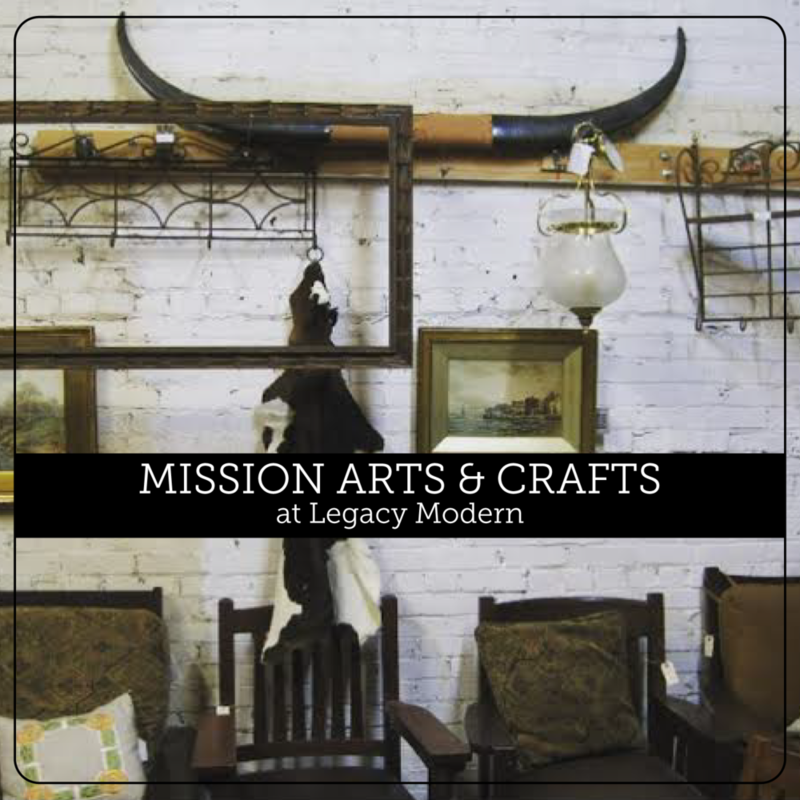 Exclusive Gus* Modern + Pendleton Woolen Mills collaboration at Legacy Modern! Gus* Modern has teamed up with Pendleton Woolen Mills to create a family of lounge chairs that celebrate the union of textiles and furniture. Bring a little slice of the Pacific NW into your home with this exclusive item. A limited number of these chairs are being released and we have one on the floor right now! Legacy Modern will have one Halifax chair available in store. ONE! When it's gone, it's gone! Don't miss this opportunity to collect this rare piece! We're open daily! Call or Stop by the store anytime to get more details about this stunning chair. 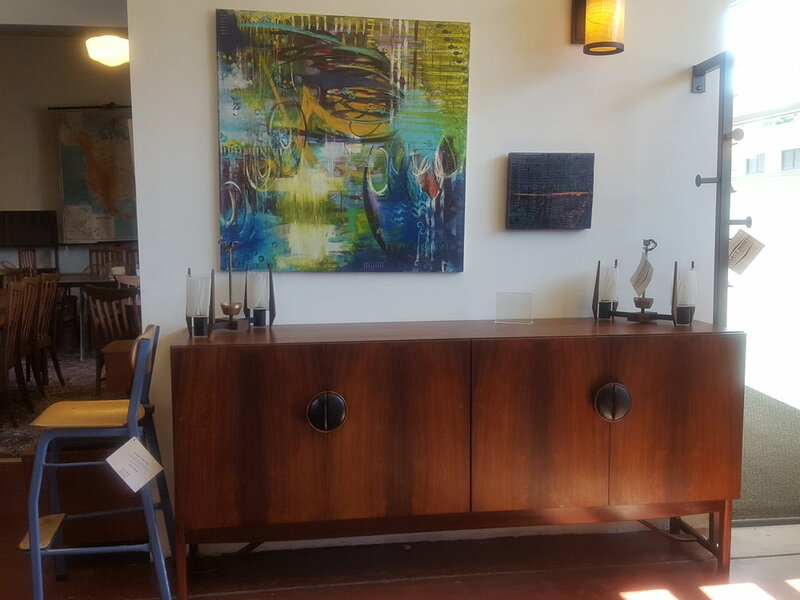 While you're here pick up a new credenza to complete the look! 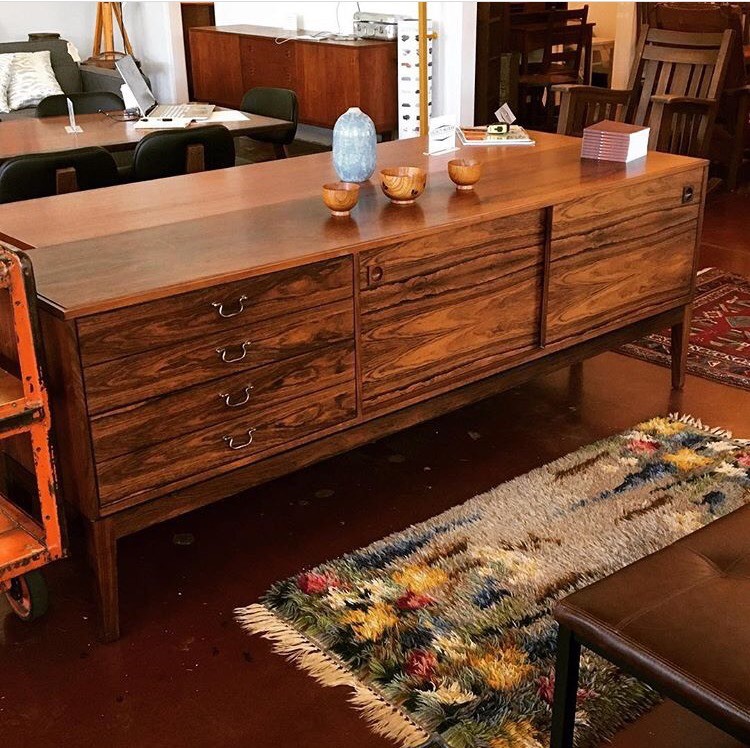 This 1950s Robert Heritage credenza is nothing like you've ever seen. This amazing piece is constructed of solid Rosewood and is in it's original finish. Let the simple design and striking wood patterns decorate your living room, office, or dining room. According to Pomono.com, "British industrial and interior designer Robert Heritage is celebrated as the most awarded designer in the history of the British Design Council. Known for his wide breadth of work, which encompasses furniture, interiors, lighting, and accessories, he is regularly associated with important 20th-century British designers and architects by the likes of Robin & Lucienne Day, Charles Rennie Mackintosh, and Barber & Osgerby." Our thermostat is set at a comfortable 70 degrees this weekend. 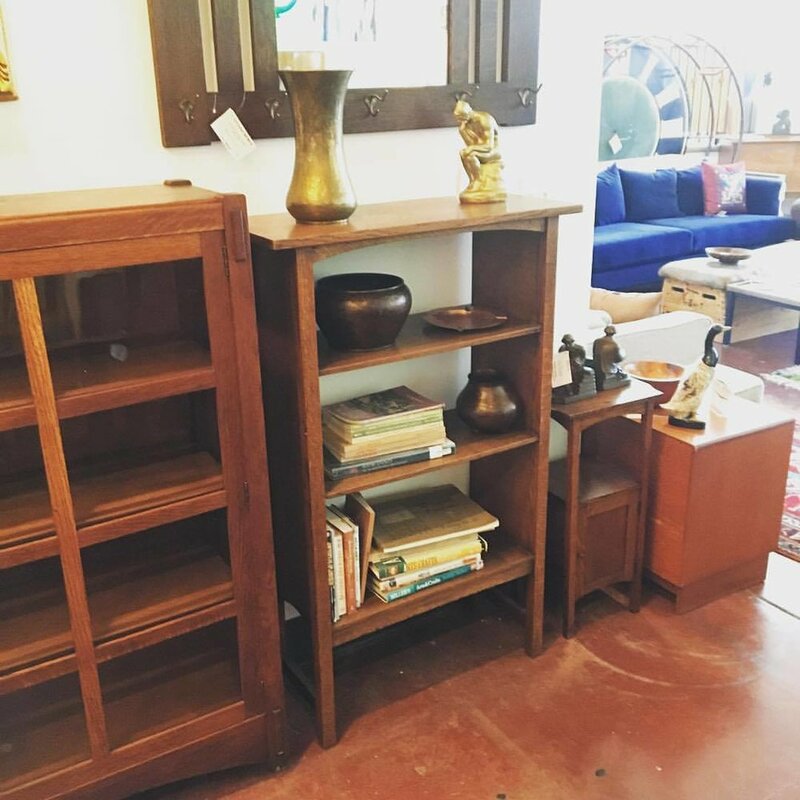 So, get out of the heat and the smoky air, and come shop for your next dresser, credenza, or sofa. We're having our Mid Summer Sale, offering 20% off 20th Century and Industrial Design. 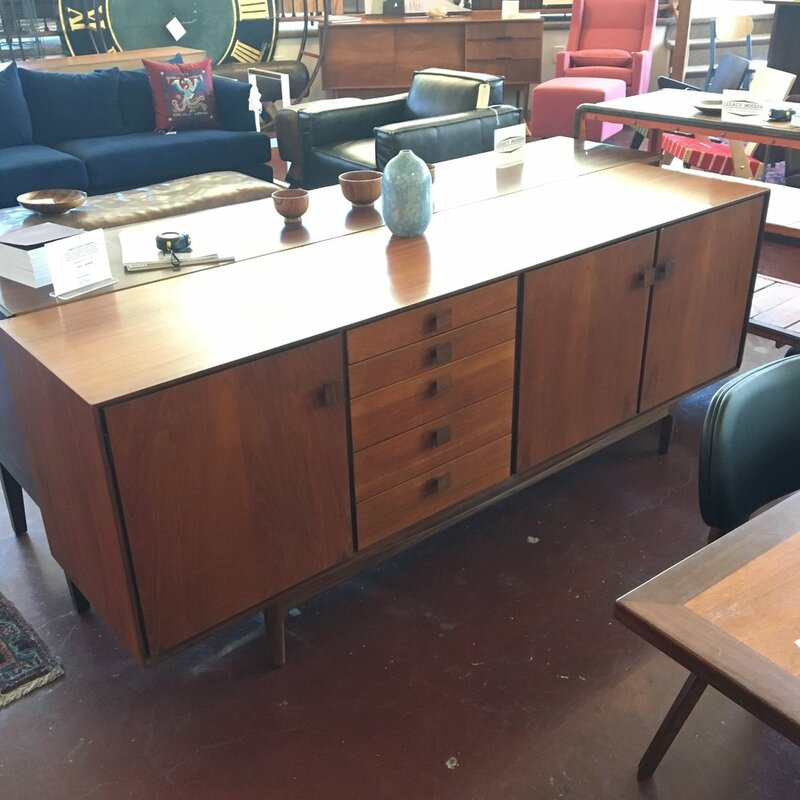 That means that beautiful Robert Heritage credenza above is on sale for 20% off! For a limited time! Don't miss the savings! Dual Sale! Join us for our Mid Summer Sale and the Gus* Modern Summer Sale! 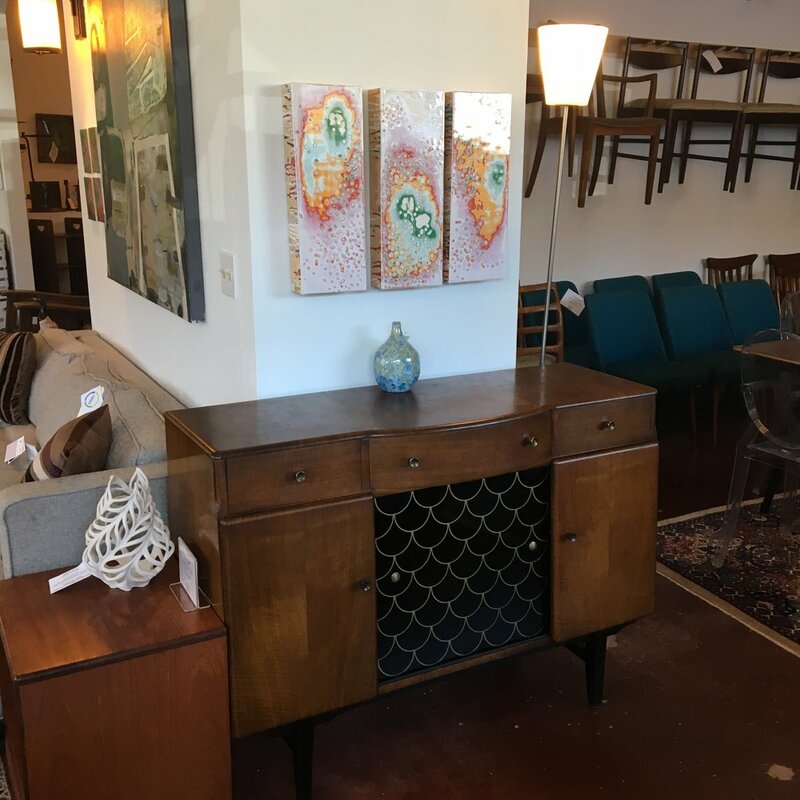 Since we're having our Gus* Modern Summer Sale right now, we decided to take 20% off Mid Century and 20th Century Design inventory too! Get a credenza to go with your new Gus sofa! 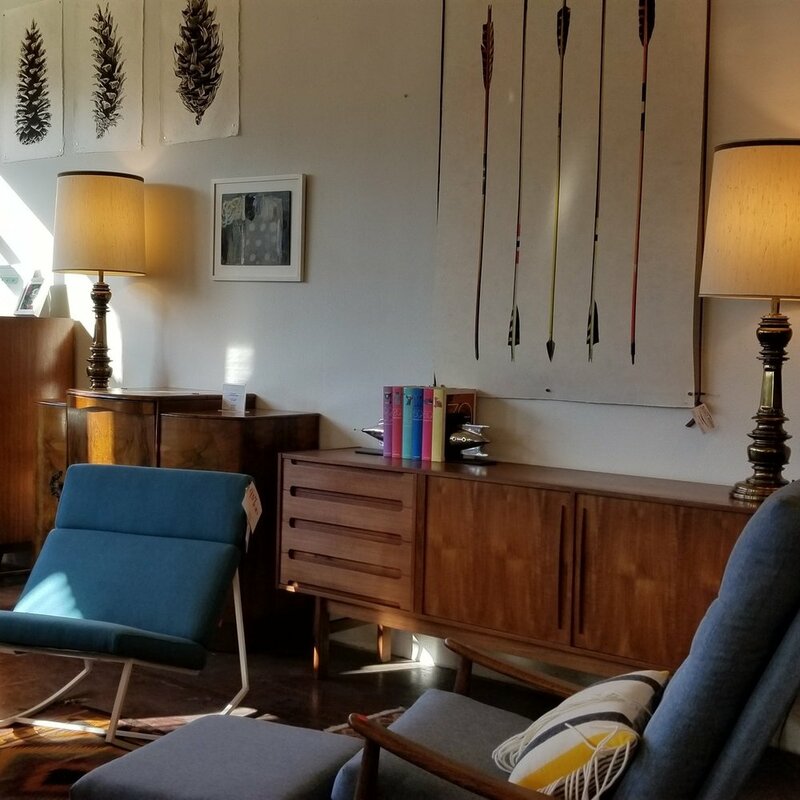 Take advantage of all the savings on Elliotts of Newbury, G Plan, Milo Baughman, and other great Mid Century designers! Get 20% off your next credenza, cocktail bar, dining room table, and more. Keep in mind our Gus* Summer Sale is going on as well. 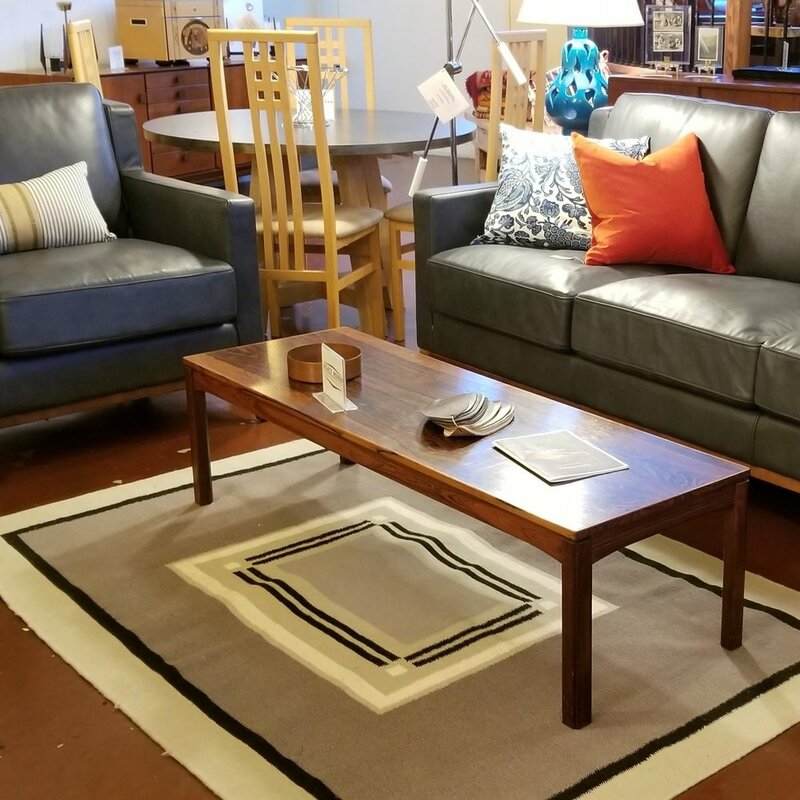 If you're in the market for a new sofa or chair, you'll find gorgeous pieces at a fantastic price! Stop by this weekend and check out our showrooms! Gus* Summer Sale is happening now! The summer heat is here and so are the savings! Our Gus* Modern Summer Sale is happening now! Save huge on sofas, sectionals, accent chairs, ottomons and beds. There’s no better time to hop in the air-conditioned car and come down to the store than right now. Is your sofa looking old? Upgrade to new, high quality Gus* Modern sofa. The comfort and style is everything you’re looking for. The Jane Sofa featured below is a classic, button-tufted club sofa with a distinct Mid-Century feel. Oh, and it’s currently 20% off with the Gus* Modern Summer Sale! Make sure to pop over to the shop this weekend and take a peek at all the new Gus* Modern inventory we’ve recently added to the showroom and take advantage of the #gussummersale! You won’t be disappointed! Originally created in 1950 by Russell Spanner, the Lounge Chair with Arms has become a classic of Canadian Mid-Century Modern furniture design. Out of production for more than 50 years, Gus* worked in collaboration with the Spanner family to revive this iconic chair, carefully matching the construction, materials, and design details to stay true to the original in every way. The seat is woven strapping, and the frame is solid birch with exposed bolts and finger-joint details. Like the original, the Lounge Chair with Arms is built in Toronto and available in a variety of finishes. To commemorate the return of this design classic, the first 100 chairs produced will be part of a numbered, limited edition series. Product colours may vary slightly from those shown on your display. Visit Legacy Modern to preview samples of fabric and finish options. Gus* Modern has arrived at Legacy Modern! Recently we’ve brought on some exciting new partnerships to help enhance your shopping experience. One of the biggest expansions to our store is the introduction of Gus* Modern! We’re happy to be partnering up with a company that believes quality and style go hand in hand! We were thrilled to be scouted by Gus*. When they approached us earlier this year, we felt their items were a good match for our store, and we were eager to move forward. After a lot of phone calls, emails, and a quick flight to North Carolina, we had landed a great deal with a great company. Gus* Design Group is a furniture design and manufacturing company based in Toronto, Canada. The company was started by some like-minded friends who shared a passion for design, and had a vision to create an exclusive line of modern furniture that would continue Mid-century traditions, emphasizing originality, functionality, simplicity, and a focus on materials and craftsmanship. Today, the in-stock Gus* Modern Collection includes upholstery, beds, dining, storage, lighting, and accents, and is available at authorized furniture showrooms worldwide. Gus* has become a favorite choice of interior designers, architects, and design-minded consumers. The new inventory arrived this week! We’re slowly getting items out on the showroom, so be sure to stop by the store this weekend, and have a look at all the new inventory! You can also shop more Gus* Modern products here.